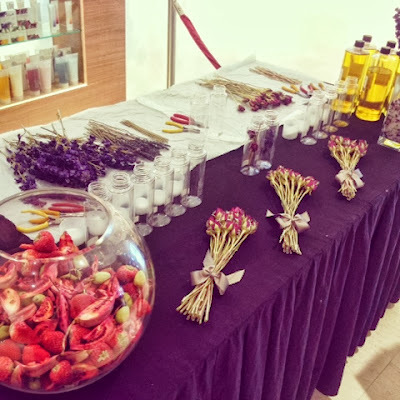 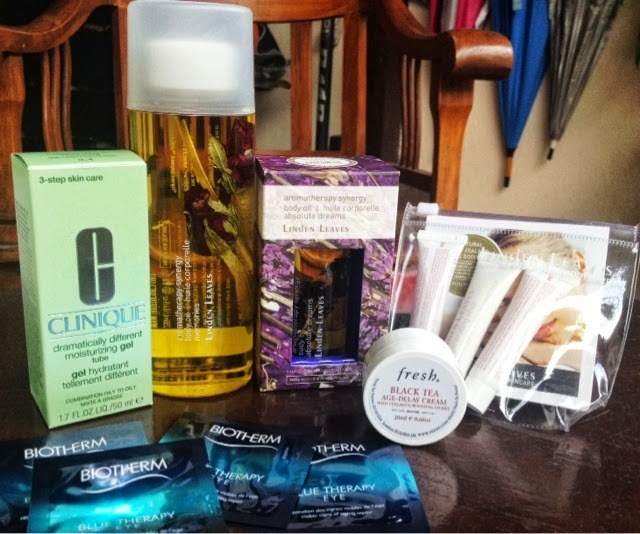 On Thursday afternoon I was invited to attend theSkintopic's anniversary event at Pavilion thanks to The Butterfly Project.I was really happy to join the group at The Butterfly Project because I love beauty products and I practically buy new beauty products every month! I have seen theSkintopic at Subang Parade before and even tested their body oils because I was intrigued that they've dried flowers/fruits in their body oil bottles... but I've never purchased them before.I'm a big fan of body oils as I use them to moisturize my body especially for my allergy scars on my legs so I was ecstatic to attend theSkintopic's event. 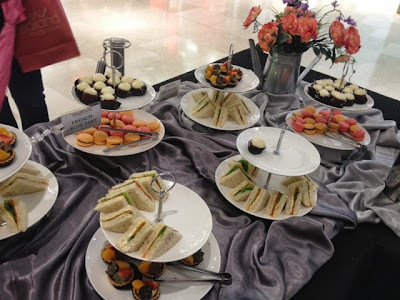 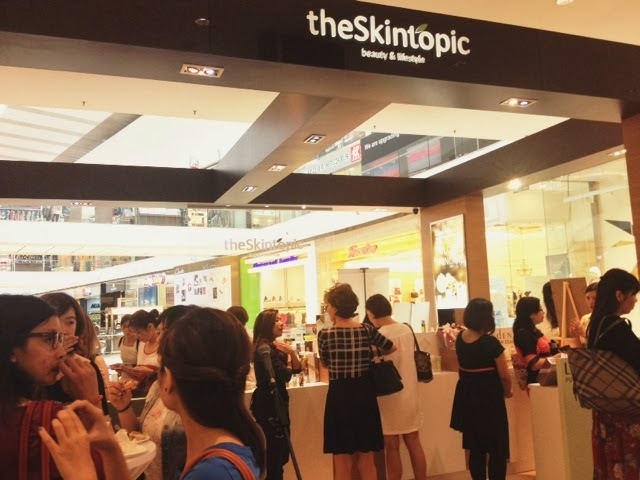 The event was held at theSkintopic's outlet on the fifth floor of Pavilion(right across Nichii).When I arrived there and registered myself,I received a goodie bag filled with theSkintopic's products(more on that later).There was a table full of delicious refreshments and I had a bite of the mini quiche. 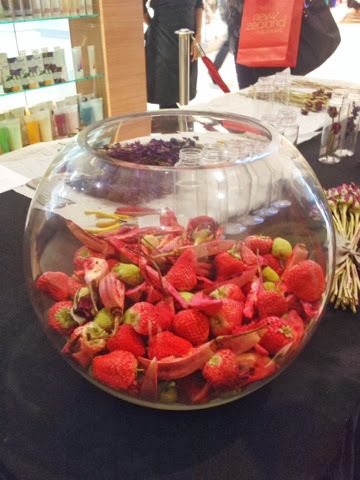 I also saw a table filled with bottles of body oils and freeze dried flowers and fruits.Though at first I thought that the dried fruit in the jar was fake but it was actually real fruit and we got to smell the dried strawberries.They are supposed to be put in the bottles and mixed with the body oils. We got to see how two of the Linden Leaves body oil(Memories and Absolute Dreams) was made by the founder,Ms Brigit Blair. 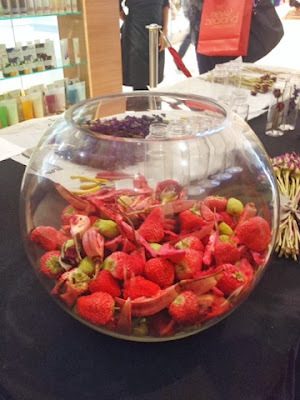 I was fortunate enough to be able to get my hands on and try to make one of the body oils which was the Linden Leaves Aromatherapy Synergy Memories body oil.It seemed easy when Ms Brigit made the body oils but it actually wasn't as the freeze dried roses was very delicate and brittle.Basically I had to cut the roses accordingly,tied it up and then gently pushed it into the bottle and then pour the body oil in. 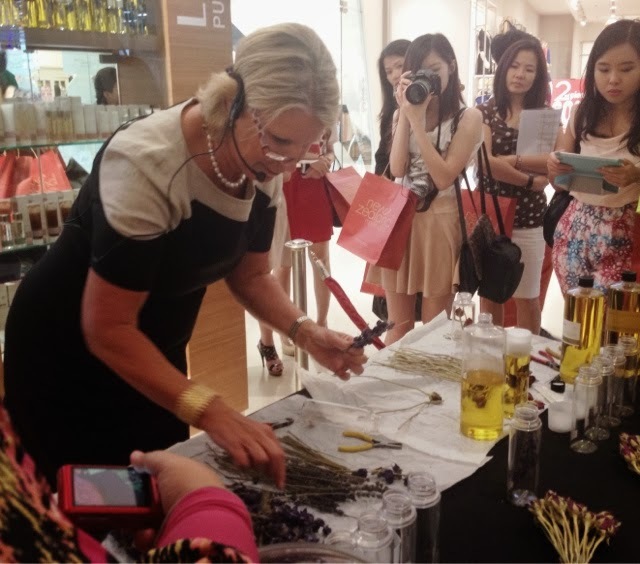 To know more about the body oil that I made that day,click HERE.